Effingham, IL is a town that feels like home. Its 5 hours from my current home, just north of Ft Wayne, IN. Three hours from the south Chicago burbs. It’s a frequent stop when I travel alone or with friends. 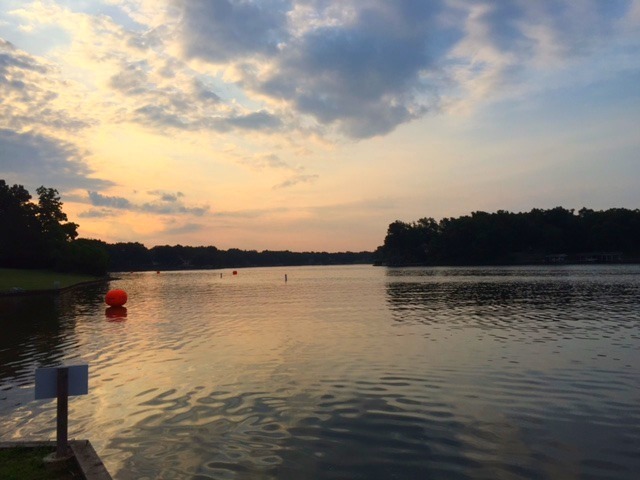 I’ve spent more time in Effingham hotels than anywhere else so it felt right to head there for the first TRI of the season, the Cutting Edge Half Classic 70.3 on the shores of Lake Sara. Pretty much my only concern about the weekend was the heat. I knew I could cover the distance. I still don’t feel 100% recovered from the 6 marathons I’ve already ran this year. Make that 12 since last June. But I’m getting there or at least I tried to really focus on resting last week. Wasn’t exactly where I wanted to be but I was in a good place with it. The forecasted temps though, had me concerned. The “feels like temp” was predicted to be 105 by 2pm when I anticipated finishing. I was hoping they would be wrong. They weren’t. Possibly the first forecast I’ve ever know to be exactly right. Oh well! Packet pick-up was easy and quick at the race site, inside, with real bathrooms. About 100 yds from the beach. Next to the finish line. Option of race day packet pick-up. Lake Sara was calm, clean and warm. 80 degrees, which means that wetsuits were not allowed according to USAT rules. Transition was small. It probably would have accommodated 100-150 racers. Wooden transition “racks” that let our back tire slide into a slot. Kinda cool and one I hadn’t seen before this event. Enough space to put my transition bag behind the bike and out of the way without taking it back to the car. Sweet!! Speaking of the car. If you are an iron fan, you may park a mile or further from transition. And don’t forget your cash, cuz you’ll pay to park in that spot! But at Cutting Edge, parking was about 100 yds from transition. Easy. No fuss. Free parking. Quick selfie with my bike. The swim. One wave. Two loops. Each loop 0.60 miles. Must stop swimming between loops, stand up and shout out your race number so they could keep track of everyone. I thought this was a great thing for them to do and a smart way to watch the swimmers closely. Also, I’d like to make a note about the swim setup. They had the buoys out, parallel to the beach, going both to the left and the right. The swim did not look crazy intimidating like some I’ve seen. It was nice. The water was nice. I was planning for a good swim, even without my wetsuit!! Gun goes off, I was a bit nervous but was confident I could do it. But alas I could not get a seal on my goggles. I was a bit surprised because they had never failed me previous. Then I realized I had both sunscreen on my face & an under eye moisturizer (cuz my allergies are leaving me with bags beneath my eyes every morning!!!). Yeah, something “new” on race day. Ugh, I couldn’t see anything. My goggles were full of lake water. The first loop was definitely easier than the second cuz I was around more swimmers. It was harder for me, and my blurry vision, to see and stay on course the second loop! I did attempt to dump the water and reseal my goggles at the half way point since I had to stop swimming and stand up to report my number. Didn’t work. So I just tried to swim on even though my eyes were irritated and I couldn’t see. “Fast” swim for me, even with my stupid goggles & blurred vision. 40:05 for the distance. But my watch only called it 1851 yards instead of the 2200 yds that I was expecting. It was the theme for the race, my watch not equaling the specified distance and I’m pretty sure the race officials were right. I think my watch was just as overheated as I was from the very beginning. Bike. 2 loops. Windy. Hot. My bike computer did not pick up my sensors. I can’t read my watch in aero. Yeah, I was flying blind but felt so slow. Verified by looking at my watch a couple times, yep super slow but I felt powerless to change that. Roads were decent. Mostly tar & chip. Aid stations every 10 miles. 3 turns each loop, around a cone in the road. Course was well marked. Course officials and/or police were at key intersections/turns to help. Traffic on course but the drivers were courteous. Wind was head on or a cross wind 90% of the course. There were a few short places with it at our back & I was flying but yeah, otherwise, it was kinda miserable. Not because of the course but because of the wind and heat. 56 miles, my watch read 55.4. Time – 3:25:19. My last half IM had a bike time under 3 hours so I was slightly disappointed but I did it. Run. 2 loops. Hot as Hell. Where did that stupid wind go? Aid stations every mile. Glorious volunteers giving out cold sponges, soaking our nasty dirty, sweaty sponges in cold bowls of ice water. Helping to put ice down the back of our tri suits. Offering water, ice, gatorade, shade from their tent, electrolyte tabs, orange slices, bananas, gels, cheers and support. The further we got away from the lake, the hotter it got. So that “feels like” temp of 105 had to be so much higher out on those country roads. I’m not sure I would have made it thru without the volunteers and aid stations. The middle aid station even had a sprinkler. Passed that sprinkler 4x and utilized it each time. We’ve all had hot races. Some people manage it better than others. I’m big and soak in a lot of heat and sun and it just melts me. But with the aid stations close together and knowing they had ice ahead, I was able to keep moving a little better than I normally would with a heat like this. Many races in conditions like this will have hot water & gatorade. No ice. This race went above and beyond, I can’t even imagine the amount of ice they went thru and it was a saving grace for so many people, myself included. 13.1 miles. Time 2:37:52. My watch said 11.8 miles and a time of 2:19. Not accurate at all on my end. Overall, great race. I’d go back. I thought the course was very manageable. It was fun to see the people I had met along the way and pass them on the loops. Kinda made things go by faster. I’d definitely recommend this event to newbies and seasoned triathletes alike. And guess what, when I finished they had food. I’ve been to a couple of those iron events where I didn’t get food because they ran out (or were waiting on more) or because the line was so long that I didn’t have the energy to wait. Not the case at Cutting Edge. Plenty of food and COLD drinks at the end. I won the Athena division with a total time of 6:48. Only one other Athena finished. It was such a hot day and there were a lot of DNFs. Only 67 age groupers finished. 2 Athenas. 1 Clydesdale. My trophy & Heed were my division award. 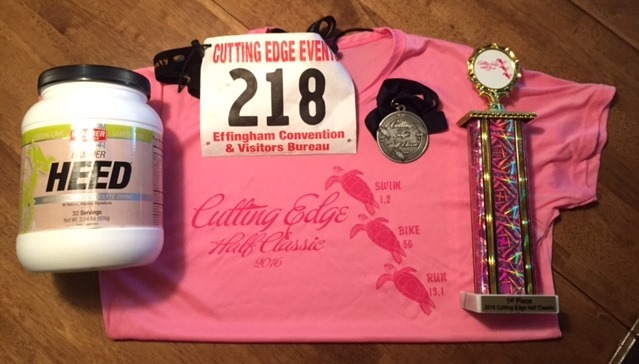 Gender specific tee & finisher medal below. That’s a wrap for the first 70.3 of 2016. It wasn’t pretty but I’m hoping I can only go up from this point. Know that there are days where a DNF is not wimp out but a necessity. But also know that when you look inside yourself, the answer will be there, its always easier to quit but if you can continue, do it. The finish line is a sweet reward. 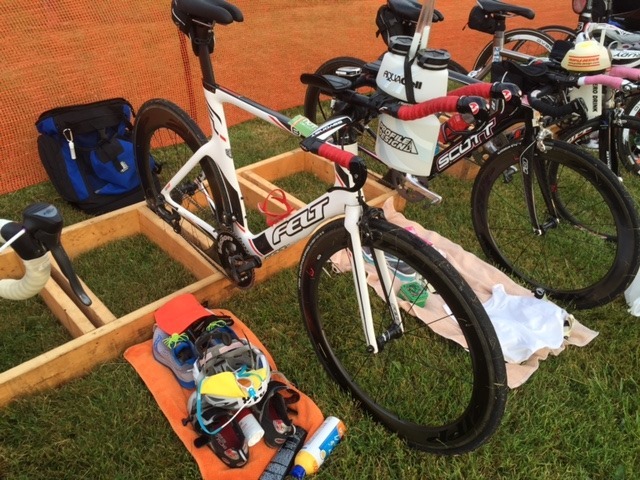 This entry was posted in Cycling, Fitness, Race Reviews, Running, Swimming, Triathlon and tagged Cutting Edge Half Classic 70.3. 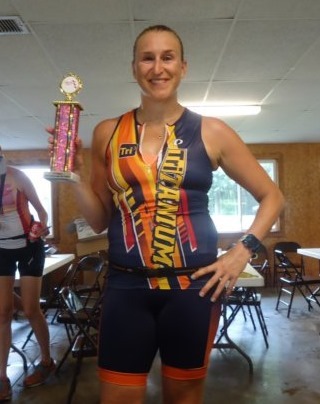 70.3 race, half ironman, half ironman in Effingham IL, Swim Bike Run, triathlon by tootallfritz. Bookmark the permalink. Congrats Amanda on sticking it out and taking whatever you get…and another awesome post and recap of your experience. You definitely know this triatholon sport well…! I believe you really did well to stick that one out in those kinds of conditions. You can’t expect to post great times on bike and especially run in temps and wind like that. Seems like race officials for this event are well trained and were very-prepared to have the extra resources out there that biking and running in extreme heat requires…and that means ample ice and cold water and such everywhere along that course…the sprinkler station that you pass 4x is really something that tells me race officials and planners right on top of things. Regarding your watch…I do know that GPS watches can be very inaccurate in the water. That’s cause watch can loose satellite reception can be momentarily lost when that wrist with the watch on down deep in the water. The time is what is important, so if it a certified race course you know the distance…it is simply the time on the watch for the swim you really need. But if I interpret correctly…I can see the mileage being off for the biking segment, but the time should be intact. Unless for some reason watch got stopped one time inadvertently or shut-off and you restarted it, or maybe satellite reception lost at times? But the duration in hr and min should be close to what chip-time indicates. The fact that your time was not even close says to me the watch was off for some reason and then re-started. I have a Garmin 310XT…and every once in a while…it just stops for no apparent reason…like on tonight’s Monday night run at RFK and I lost approx 0.3-mi and the time to run it….in the initial phase from start. In all races I run…I turn off auto-lap function and then manually lap the splits at designated mile markers. It usually is quite accurate for the time…but I often see “slop” in the distance for the splits…but usually close plus or minus 0.01-0.02 mi. But in a race…it is only the time on the watch you care about when you pass each designated marker. Bike odometers can be a nice back-up to your GPS watch…if you have the bike odometer with the right tire factor…and I know you can get that tire factor adjusted or corrected precisely if you take your bike and ride it around…close to the inside edge of a HS or other track and note what the odometer on bike records for the 1600m you ride around the track. Of course 1600m is the metric mile and an actual mile distance is a bit farther. You can make your own bike calibration course using the principles that are applied to using bike calibration method to measure race courses for running! If you ride a certified USATF bike calibration course…you have a known distance and you compare that to what your bike odometer and GPS watch yield. Then you can figure out the “error” and with the bike odometer…customize the settings for the tires to come up with the same distance…by trial and error. That’s a lot of work to do…I doubt you will ever pursue! So just use the watch to record total time start to finish and for split-points in the course. Then go by what the officials say those distances are…and that your speed or pace! 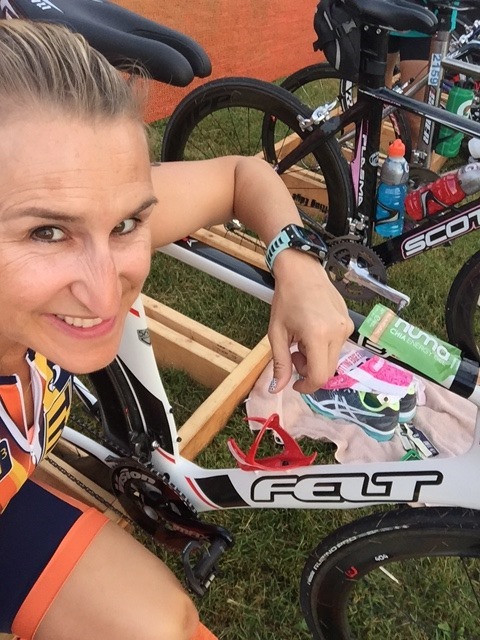 Hoping some day you get to do a tri with optimal conditions to swim, bike and run…and see where you end up! But awesome you did for such extreme temp and wind conditions! Seriously impressed by you Amanda! It takes courage, guts, and determination to start and finish a race under those conditions! Do you know if this race offers any type of insurance like the ironman ones do? In case I get pregnant? Ironman will give you a full refund for $40 insurance. I’m just trying to figure out what race to do next year but I do want to try and have children. Don’t want to put an half on hold bc what if I don’t get pregnant? lol. Great job though. You are amazing. I’m not sure about insurance. But I know the lady who lives next door to the RD so maybe she can check. They are pretty low key so I’m guessing they’d just give your $$ back if you were fortunate enough to get preggo.